Two Gallon Hastings & Belding Ashfield Ma. 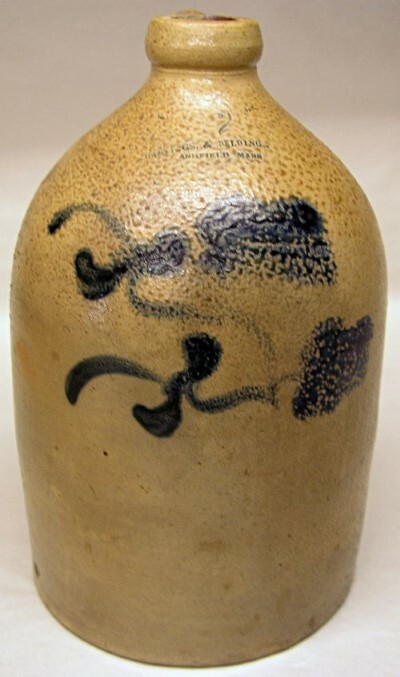 blue decorated stoneware jug. Dimensions: Measures 13 1/2" tall.